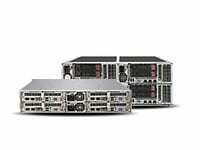 With this new generation of servers, iXsystems offers an extensive range of computing solutions for mission-critical applications. iXsystems’ servers are engineered to unleash the full performance and rich feature sets of the new Intel® Xeon® Scalable processors. 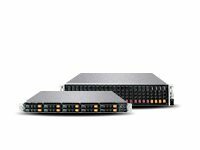 The elevated compute performance, density, connectivity, and efficiency are coupled with enhanced support for NVMe NAND Flash for unprecedented application responsiveness and agility. Scalable: Improved management for NVMe SSD drives, increased core count, increased L1/L2 cache performance, over 50% more memory bandwidth by increasing memory channels to six, up to 50% more PCIe I/O bandwidth by increasing PCIe lanes to up to 48, and support for UPI bridge between CPUs, ensures iXsystems servers can achieve optimal performance for today’s complex web-scale applications. Secure: Up to 2x per core security performance improvements, combined with Intel® Trusted Execution Technology (Intel TXT), Intel® Platform Trust Technology (Intel PTT), and Intel Boot Guard, combined with new key protection ensure you have low overhead and hardware-enhanced data protection when deploying a trusted infrastructure. Agile: The number of cores per CPU has been increased to a maximum of 28 and the new Intel® UPI can deliver almost 50% more inter-CPU bandwidth. There are a plethora of add-in options that can be connected to the PCIe lanes. 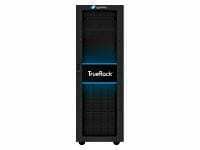 These include NVMe SSDs, 100G/40G/25G/10G Ethernet, Intel® Omni-Path Architecture, 100G EDR InfiniBand, and others. These changes help increase the multi-tenancy and VM density or parallelized workloads required by today’s local or hybrid cloud-based applications. iXsystems delivers an extensive selection of servers fully optimized for all applications and any budget. 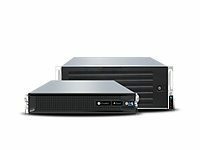 To learn more about the iXsystems servers, send an email to info@iXsystems.com, call 1-855-GREP-4-IX, or please visit here and here. 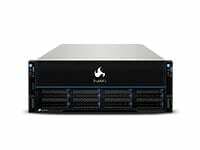 In addition to an extensive server line, iXsystems also provides the TrueNAS enterprise storage arrays. 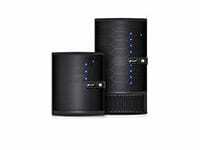 For more details, please visit www.ixsystems.com/TrueNAS/. With headquarters in the heart of Silicon Valley since its founding in 1996, iXsystems leads the industry, building innovative storage solutions and superior enterprise servers for a global marketplace relying on open technologies. 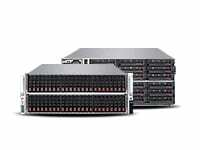 Its decades of hardware design experience and expertise, commitment to the Open Source software community, and stewardship of many leading Open Source Projects, like FreeBSD, FreeNAS, and TrueOS, are the reasons why thousands of companies, universities, and government organizations rely on iXsystems’ storage, servers, and consultative approach to doing business.